Finding out you need dentures can be frightening. How will they look and feel are often the most asked questions. 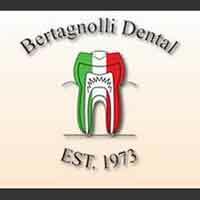 At Bertagnolli Dental we design each denture with your input and total communication on their customization. If you need dentures in Westminster we have the experience you are looking for. Dentures are an option for tooth replacement of all your natural teeth. In order to create a proper fitting denture, we perform several different procedures to make sure that your denture will fit the shape of your mouth and provide the necessary support for your face. You can be confident that your dentures will look just like your natural teeth. We are proud to have a state-of-the art facility that provides you with everything you need. We know your experience at Bertagnolli Dental will be a comfortable one. Call us today when you need dentures in Westminster at prices you can afford.